Sulfur is a homeopathic remedy that is used to treat a variety of chronic or acute ailments. 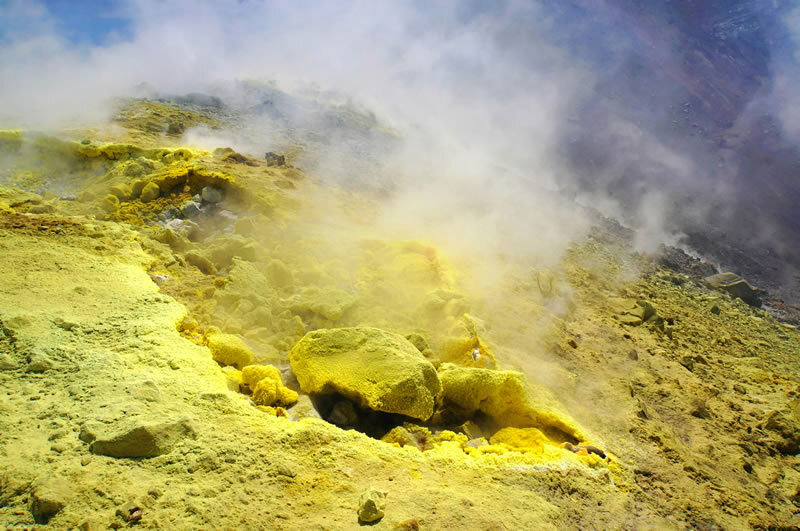 Elemental sulfur is present in all living tissues. 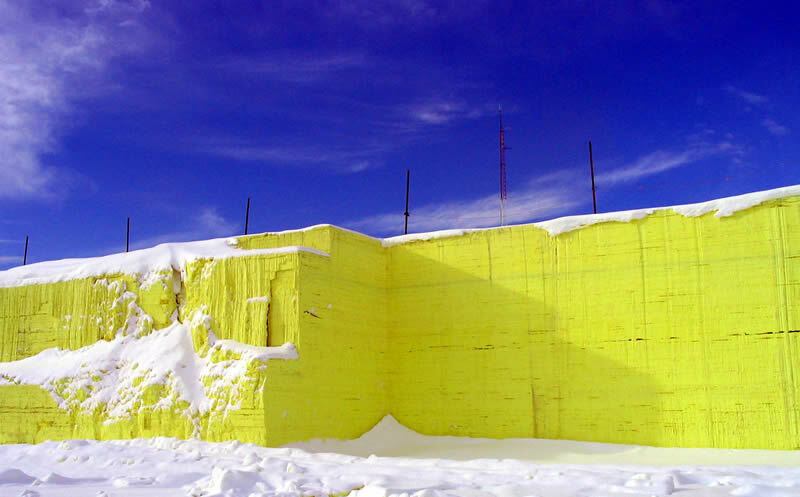 Sulfur is often referred to as brimstone or flowers of sulfur. 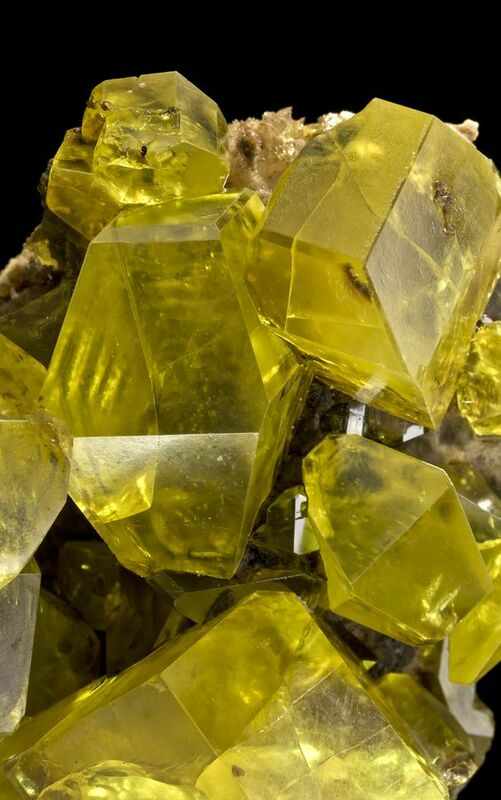 Sulfur was used during biblical times as a remedy for skin disorders such as acne and scabies. Flowers of sulfur were burned to disinfect the rooms of persons with infectious disease. Sulfur was also taken with molasses as an internal cleanser, and was used to treat chronic bronchitis, constipation, and rheumatism. In the early 2000s the element is used in the manufacture of dyes, gunpowder, insecticides, fungicides, sulfuric acid, and rubber (as a hardening agent). Sulfur is known as the king of homeopathic remedies because it has such a wide range of use. It works well with almost every other remedy and it acts on many different maladies and ailments. This polychrest has a deep, long-lasting effect on the body and is often used to bring out symptoms for further treatment. For this reason, sulfur is generally used to treat chronic ailments, although it is also used for acute conditions such as fevers and colds. Sulfur stimulates the body’s natural healing powers, causing a general improvement of symptoms and sometimes causing new symptoms. Homeopaths prescribe sulfur to treat skin ailments such as herpes, rashes, psoriasis, eczema, and acne. Other conditions helped by this remedy include arthritis, colds, coughs, flatulence, gastrointestinal disturbances, and headaches. Ailments are caused by loss of vital fluids, drug abuse, overeating, becoming chilled, a change from cold to warm weather, effects of a debilitating disease, or from suppression of skin eruptions, hemorrhoids, or bodily discharges. Typical sulfur patients are fair-haired, blue-eyed persons with red faces and lips that become cracked when they are ill. Their tongues often have a white coating and are red around the edges and on the tip. They are lean, stoop shouldered, lazy, averse to bathing, untidy, and disorderly. They don’t pay attention to what they are wearing and often walk around with unmatched socks or missing ties. Patients are oversensitive to odors, especially their own, which are usually smelly. Sulfur patients have often been called the “ragged philosopher,” referring to the patient’s disorderly ways. For instance, a sulfur type might be an inventor or scholar who is so absorbed in his project that he forgets to wash or change clothes. Patients are very bright but they spend a lot of time wandering about and studying strange subjects. They are dreamers and philosophers who lack perseverance to see their dreams through to fruition. They start many projects but complete few. Physical symptoms include excessive thirst, swollen glands, profuse sweat, sensitivity to heat, burning pains, hot feet, boils, and acne. Symptoms generally appear on the left side. Bodily discharges are hot, burning, and sour smelling. The patient is extremely intolerable of the cold and other weather conditions. Arthritis, coughing, and hoarseness of the throat are all caused by damp weather or a change in weather. Skin conditions are often caused by a change in weather. These patients are very sensitive to food and the times they eat. If a meal is delayed they may become nauseous and weak. At 10 A.M. or 11 A.M. they get an empty feeling in their stomachs and feel an intense hunger. Patients generally suffer from indigestion and other gastrointestinal disorders. They crave alcohol, sweets, spicy foods, fatty foods, and stimulants, but dislike milk and meat. Bread, cold food or drinks, fats, milk, and sweets aggravate their systems. Mentally, patients are irritable, critical, discontented, impatient, depressed, quarrelsome, restless, hurried, anxious, easily offended, fearful, timid, absent-minded, sad, and weepy. They would rather not work; their symptoms often occur as a result of physical or mental exertion. The patient is always tired and lacks endurance. If made to stand for long periods of time he may feel faint. Symptoms are aggravated by bathing, cold air, motion, itching, fasting, heat, milk, or standing. They are worse from 10-11 A.M., after eating, or in a stuffy room. Symptoms such as headaches may recur on a regular basis, i.e. every seven or ten days. Patients are worse after a long sleep and may not want to get up. All sulfur symptoms are better from fresh air and warm drinks. The backache typical of sulfur is aching, sore, and stiff. The back feels weak, tired, and bruised. It is worse from standing or walking, after sitting for long periods, during menstruation, or at night. Sulfur patients catch colds easily and often. They cannot become overheated, remain in a cold place, or overexert themselves without catching a cold. The sulfur cold is accompanied by smelly nasal discharge, congestion, sneezing, eye inflammations, and an itchy, dry nose that, when blown, may bleed. The sulfur cough is generally dry in the evening and loose in the morning. The chest is congested and the sides hurt from coughing. There is a feeling of dust in the throat. The discharge that is expectorated from the cough is of a greenish color. Patients may often awake from coughing. The cough is better when the patient is exposed to open air. Diarrhea that occurs early in the morning around 5 A.M. is indicative of sulfur. The diarrhea is painless, slimy, watery, and foul smelling. It is accompanied by flatulence and is somewhat relieved by expulsion of the gas. Earaches are accompanied by aching and lacerating pains. The earache is worse in the left ear. There is a ringing or roaring noise in the ear. The ears are frequently plugged and itchy. Eye inflammations often accompany a cold. The eyes are itchy, watery, burning, dry, and sensitive to light. The eyelids itch in the daytime only. The patient may wake up with his eyes glued shut. Washing them, however, aggravates the condition. Fatigue is worse in the evening or from talking. It is caused by sun exposure, hunger, or walking. Fevers are hot and are accompanied by chills, shivering, and sweating. They are worse in the evening, after waking, or from mental exertion. The feet become extremely hot; therefore, the patient may stick his feet out from under the bedcovers to cool them. The patient is very gassy and suffers from gas that smells like rotten eggs. The stomach is bloated and rumbles in irritation. The gas is often accompanied by a burning sensation and offensive-smelling stools. Headaches are confined to the forehead or top of the head. They are hot and burning with hammering pains. These congestive headaches are caused by damp weather and are accompanied by nausea and vomiting. They often occur on Sunday and recur periodically. They are aggravated by motion, cold drinks, eating, bending over, blowing the nose, coughing, rising in the morning, and sneezing. Sometimes stars, zigzags, or other shapes will appear before the eyes. Indigestion is common in sulfur patients. The patient can digest almost nothing, but he can’t go long without eating. He has a weak stomach and a slow digestion. Stomach pains are sensitive to touch and a heavy feeling is present in the stomach. The patient is hungry at 10 A.M. and may need to eat to avoid feeling faint or weak. She may get a headache if she doesn’t eat at that time. Indigestion is accompanied by sour belches, gas that smells rotten, bloating, and burning pains. It is worse after eating or from drinking milk. Insomnia is caused by frequent waking in the early morning hours (3-5 A.M.). For this reason, the patient has a tendency to sleep late. However, no matter how much sleep the patient has, he always wakes up feeling tired. Short catnaps taken throughout the day refresh the patient. Patients are often unable to sleep before midnight. Skin conditions are itchy, intense, and worse at night or in warm beds. The skin is itchy and burning and chaps easily. Ailments include herpes, rashes, acne, eczema, psoriasis, and dermatitis. The sore throat is accompanied by swollen tonsils, burning pains, and a hoarse voice upon waking. The throat is dry and raw and may feel dusty. The throat is worse from coughing and swallowing. The homeopathic remedy is created by adding pure sulfur powder to a water/alcohol mixture or by grinding it with milk sugar. The mixture is then diluted and succussed to create the final preparation. Sulfur is available at health food and drug stores in various potencies in the form of tinctures, tablets, and pellets. If symptoms do not improve after the recommended time period, a homeopath or health care practitioner should be consulted. There are no side effects but individual aggravations may occur. When taking any homeopathic remedy, use of peppermint products, coffee, or alcohol is discouraged. These products may cause the remedy to be ineffective. Sulfur should not be taken immediately before lycopodium.